Planning a wedding in Edinburgh? Then look no further! North East Wedding Band Funk Conspiracy are here to tell you all about Scotland’s capital city - Edinburgh. Ease some of your wedding woes by using this page as a guide to Edinburgh’s finest wedding venues, hotels, restaurants and top visitor attractions. Book Funk Conspiracy as your Edinburgh wedding band, we provide a professional service and create a fantastic atmosphere that your guests will relish and will turn your special day into a dream come true. Now relax and use our definitive and eclectic Edinburgh wedding guide to ensure everything falls into place…..
Scotland’s capital exudes vibrancy, class and charm. Edinburgh is home to many historic buildings, grand architecture, museums, galleries and boasts a lively and energetic nightlife. 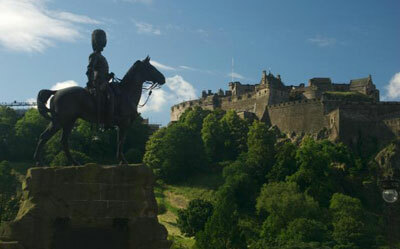 The infamous Edinburgh Castle which was built on an extinct volcano is steeped in Scottish history. The Castle has breathtaking views of the City with ornate buildings. Ensure you are there for the one o’clock gun fire! The Caves are an award winning unique wedding venue in the heart of Edinburgh’s Old Town. Set in 18th Century stone-walled vaults, The Caves’ atmosphere speaks volumes. Every room is steeped in history, with one of the rooms being home to copious amounts of whisky so it got named ‘Whisky Row!’ Two venues are available for wedding functions, The Rowantree for more intimate weddings of up to 110 guests, and the Caves themselves for up to 450 guests. The perfect venue for a memorable wedding! Fancy something a little bit different? 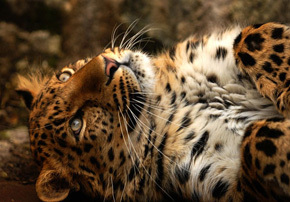 Unleash your wild side in The Mansion House at Edinburgh Zoo! Ceremonies are held in the Macmillan Lounge, a beautiful venue with elegant and charming décor. The Mansion House boasts stunning views across the Zoo and the Pentland Hills. You even have the option to hold your ceremony in the Zoo itself, beside your favourite animal! There are 3 reception rooms of various sizes available that really create a unique setting for you to get married close to nature. Take a walk down the Royal Mile via The Scottish Whisky Experience, a guided tour round the museum and distilleries. Arrange a traditional Scottish wedding with a banquet, pipers and ceilidh. 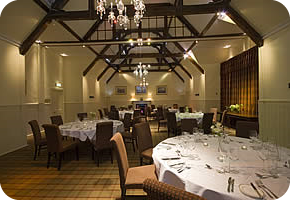 They also cater for informal Scottish wedding receptions in The Whisky Bond. The Castlehill Room caters for up to 200 guests, and offers a highly versatile and unique setting with open marble fireplaces and glittering chandeliers. Fraser Suites – tried and tested by Funk Conspiracy’s Band Manager! Situated on the Royal Mile, only 5 minutes walk from Edinburgh Castle, a 5 star luxurious hotel offering contemporary apartments in a sumptuous setting. The en suite’s offer modern and stylish décor with rainfall showers. House your guests in style in these beautiful rooms. Norton House Hotel and Spa is situated in Ingliston, half a mile from Edinburgh airport and has awards for being one of the most prestigious hotels in Scotland. Built in 1840, this hotel is a traditional country retreat offering 4* luxuries. Suites are finished to an extremely high standard with individual characteristics and some really nice touches to make your stay feel special. The spa offers a wealth of treatments and packages focused on rejuvenating your mind, body and soul. If this doesn’t sound like enough, Norton House is an idyllic setting as a wedding venue. The stunning grounds create a fairytale wedding environment. The Witchery is located by Edinburgh Castle and boasts a sensational a la carte menu in an indulgent setting. Or try The Sizzling Scot for some authentic Scottish cuisine and traditional Scottish hospitality, located East of the city. If French cuisine tickles your fancy then head over to Cafe Marlayne in Thistle Street for intimate candlelit dining at night. Edinburgh favourite places - Travelling to Edinburgh? Find out what’s going on and where at edinburgh-places.co.uk. The Funk Conspiracy Edinburgh wedding guide was written by Navella Caretto.